Amnesty International have been raising funds online to pay for insertions in national newspapers to coincide with Shell’s AGM, which takes place tomorrow. 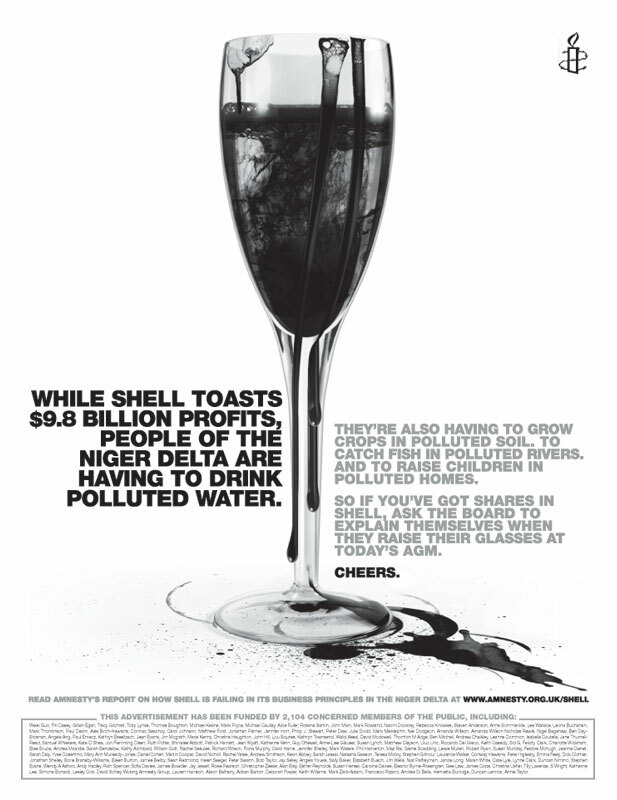 The press ad, featuring a champagne glass filled with oil, attacks the profits that Shell have made via exploiting oil reserves in the Niger Delta. The powerful imagery and copy, all using tones of grey and black, encourages share holders to hold the Shell board to account for the actions in the region. A fantastic piece of advertising from Amnesty and smart use of their huge social media activist base to raise cash.